This ebook is licensed for your personal enjoyment only. This ebook may not be re-sold or given away to other people. If you would like to share this book with another person, please purchase an additional copy for each recipient. If you're reading this book and did not purchase it, or it was not purchased for your use only, then please return to Smashwords.com and purchase your own copy. Thank you for respecting the hard work of our authors. 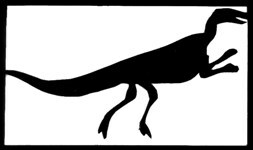 Trachodon welcomes submissions of fiction and nonfiction during the months of April-May and October-November and flash fiction year-round. Poetry is currently by invitation only; poets are free to query with a bio statement and description of work. Note that essays, articles, profiles, and other journalistic works should be about craft movements, antiquated processes, or artisan culture. Nonfiction writers are encouraged to query first. Fiction may be any style, on any theme or topic. Please read our expanded guidelines by visiting our website or mailing us a stamped, self-addressed envelope.